cinemas that have been in continuous operation since opening in 1942. The Rialto began life as the The Colony Theatre, occupying a building originally opened in 1936, as A&P’s largest grocery store. The store had pine floors, plastic walls and a celotex ceiling. 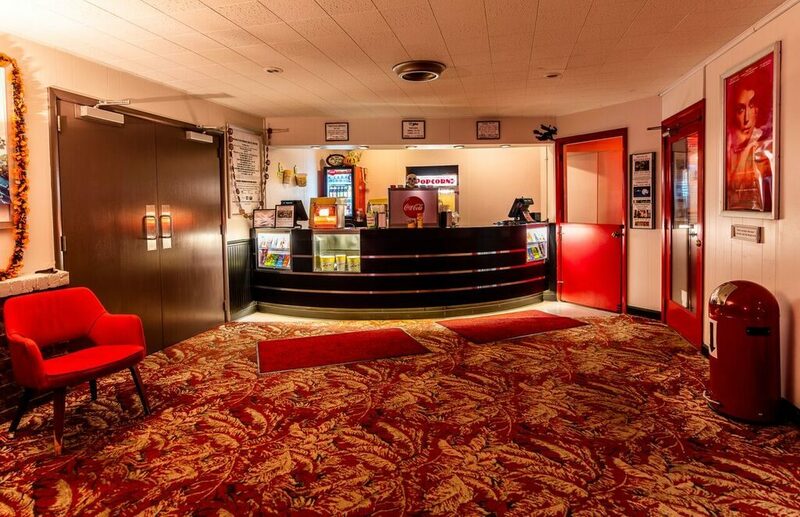 It was in 1942 that the conversion to The Colony movie house took place. A 1983 renovation and refurbishment led to The Rialto Theatre as we know and love it today, with the exhibition of foreign, art, independent and alternative film programming. 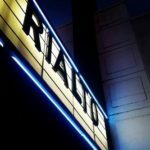 In 2013, like most movie theatres in the US, the Rialto made the full conversion to digital cinema and now presents all feature films in state of the art digital format. The venue has been described at times as an aging movie star, but the charming atmosphere and warm ambience is evident when one walks into the recently-renovated lobby. The Rialto’s one house seats 432 people under the dome lighting that has been glowing since World War II. Rialto wins the golden statue each time the house lights dim, as it is a time honored tradition to see a movie in this historic theatre. The Rialto may be aged, but it still retains its charm and original beauty, with its vintage recessed lighting and performance stage. The Rialto shows foreign and independent films as well as the Rocky Horror Picture Show (1st, 3rd and 5th Fridays, monthly, at midnight). In the tradition of Studio I and II on Hillsborough Street, also locally owned by Ambassador Entertainment, Rialto serves beer and wine along with other concessions! The Rialto is honored to have won Best in the Triangle for many years and are proud to serve our growing community.